Company Law Club // Can a company buy its own shares? Company Law Solutions provides expert advice and a full documentation service for a company buying its own shares. In some cases, a similar effect can be achieved by a reduction of capital without a court order. At one time it was completely prohibited for a company to buy its own shares. Now buy-backs are permitted subject to quite restrictive and detailed rules. The problem with companies buying their own shares is that, if completely unrestricted, there is a danger that creditors (and potential creditors) may be misled as to the size of the company's capital. This is part of the wider area of maintenance of capital. Under the Companies Act 2006 a new procedure for the reduction of capital without a court order was introduced, which will sometimes be used rather than a buy back. At common law companies were prohibited from buying their own shares: Trevor v. Whitworth (1887) 12 App Cas 409. 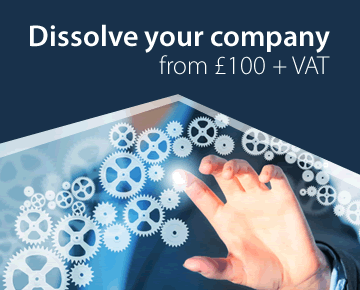 Successive Companies Acts have made it possible for companies to buy their own shares in a number of ways. The current legislation is in Part 18 of the Companies Act 2006. These provisions were amended by The Companies Act 2006 (Amendment of Part 18) Regulations 2013 SI 999 ("the 2013 Regulations"). The rules are relaxed a little for purchases under an employees share scheme. One way is for the company to create redeemable shares and then redeem them. This has long been permitted and redeemable preference shares are quite common. Redemption is subject to the rules on finance mentioned below. A company listed on the Stock Exchange can make a 'market purchase' of its shares through the Exchange, if authorised to do so by an ordinary resolution in general meeting. This, too, is subject to the rules on finance mentioned below. Any company may make an 'off-market purchase' of its shares by contract with one or more particular shareholders. The contract must be approved by an ordinary resolution in general meeting. Under the original legislation a special resolution was required, but this was amended by the 2013 Regulations. 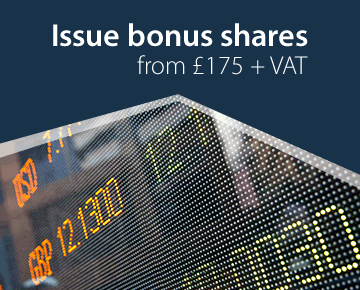 The shares must be cancelled when purchased or, again under the 2013 Regulations, may be held as treasury shares. An off-market purchase is also subject to the rules on finance mentioned next. Redemption, market purchases and off-market purchases are all subject to restrictions as to financing the redemption or purchase. This may come from either distributable profits (i.e. profits which could be paid out by way of dividend) or from the proceeds of issuing new shares. In either case the company's capital is maintained. These were relaxed slightly by the 2013 regulations. See below. Further, a private company (only) may make a 'permissible capital payment' to finance a redemption or an off-market purchase. Any available profits must be used first. The directors must make a solvency statement which must be supported by the auditors, and the payment must be approved by a special resolution and advertised to creditors. Creditors and dissenting shareholders may object to the court against such payment. The 2013 Regulations relaxed the rules a little where the payment is made to finance a buy back as part of and employee share scheme, as explained below. Shares may be bought back as part of a reduction of capital. Special rules can apply to an off-market purchase under an employees share scheme. In practice, redeemable shares and off-market purchases by private companies are reasonably commonplace. The off-market purchase is useful where a director/shareholder of a successful private company is retiring and selling out his interest, or as a means of buying out a dissenting shareholder. Purchase by the company is an alternative to purchase by the other shareholders in the company. The off-market purchase is also used as part of some management buyouts and employee share schemes. Care must be taken with regard to the taxation of the purchase price. HMRC may treat any premium as if a distribution, and so liable to income tax, rather than as a capital gain, unless certain requirements are met. Discussion of these tax rules is beyond the scope of this database. The following is a more detailed account of the statutory rules on redemption and buy back. (2) redeemable shares may not be redeemed unless they are fully paid. There are restrictions on the financing of the redemption. These restrictions apply also to a company purchasing its own shares and are dealt with in detail below. 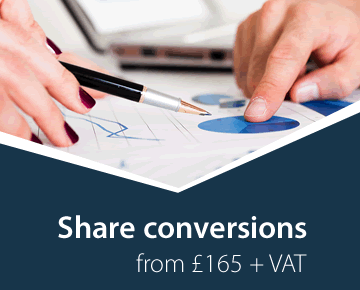 Shares redeemed must be cancelled on redemption and the amount of the company's issued capital (but not its authorised capital) is diminished by the nominal value of the shares. A company may purchase any of its shares (whether or not they are expressed to be redeemable) under CA 2006, sec690 - sec708. The purchase can be by means of a market purchase (PLCs only) or an off-market purchase. A market purchase is a purchase of shares on the Stock Exchange and must be authorised by ordinary resolution which may give a general authority to purchase the company's own shares or be limited to shares of a particular class or description. The authority may be unconditional or conditional. The authority cannot last for more than 18 months. It is standard practice in many PLCs to have such a resolution passed at each AGM. This is any purchase of shares other than through the Stock Exchange. It can include shares in a PLC bought other than through the market, or any buy-back by a private company. The statutory provisions are to be found in CA 2006, sec690 - 708. Except where the purchase is in relation to an employee share scheme under the 2013 Regulations, an off-market purchase may be made only if the terms of the contract of purchase are authorised before the company enters into the contract by an ordinary resolution. In most cases this will be under a contract drawn up for the purposes of the buyback, but it may also be done under the terms of a previously authorised 'contingent purchase contract': a contract under which a company may, subject to any conditions, become entitled or obliged to purchase its own shares. The member whose shares are the subject of such a resolution to approve the purchase of them cannot exercise the votes attached to those shares. The member may, however, exercise any votes on any other shares if the resolution is passed at a meeting on a vote by poll. The resolution will not be effective unless a copy of the proposed contract of purchase, or a written memorandum of its terms if it is not in writing, is available for inspection by members of the company, both at the registered office for at least 15 days before the date of the meeting at which the resolution is passed, and at the meeting itself. Where a company has purchased its own shares it must, within 28 days, deliver to the Registrar a return (form SH03) stating the number and nominal value of those shares and the date they were purchased. Stamp duty must be paid on this form if the consideration paid by the company for the shares is £1,000 or more. In a private company the shares must be cancelled on buy-back or held as treasury shares. If cancelled, the company must register another form, SH06, which includes a statement of capital. If held as treasury shares, the voting and dividend rights on the shares cannot be exercised until such time (if ever) that the shares are sold. The company must keep a copy of any contract to purchase its own shares, or a memorandum of its terms if it was not in writing, at its registered office for 10 years. It must be made available for inspection by members and, if a public company, by any other person. Subject to the provisions which enable private companies to make payments out of capital in certain circumstances (see below) shares may be redeemed or bought back by a company only out of the distributable profits of the company or the proceeds of a fresh issue of shares made for the purpose: CA 2006 sec692. The 2013 Regulations relaxed these provisions slightly, by allowing a capital payment to be made provided it does not exceed the lower of £15,000 or the value of 5% of the company's share capital. Where a private company redeems shares or enters into an off-market purchase for its own shares it will usually finance the transaction out of distributable profits or the proceeds of a fresh issue of shares, but it is possible for a private company to make all or some of the payment for these purposes out of capital if it complies with CA 2006, sec709 - sec723. The payment is called a 'permissible capital payment' and it may be made only after profits available for distribution have been used. In some cases the same effect may be achieved by a reduction of capital without a court order. (1) The directors must make a declaration of solvency that, having made full inquiry into the affairs and prospects of the company, the directors have formed the opinion that, having made the payment, there will be no ground on which the company could be found to be unable to pay its debts, and for the year following that date the company will be able to carry on business as a going concern and be able to pay its debts as they fall due. (2) Annexed to the statutory declaration must be a report by the auditors that they have inquired into the company's state of affairs and they are not aware of anything to indicate that the opinion of the directors in the declaration is unreasonable. This is not required where the purchase is part of an employees share scheme under the 2013 Regulations. (3) The proposed payment out of capital must be approved by a special resolution passed within a week after the date of the statutory declaration. The statutory declaration and auditors' report must be available for inspection at the meeting. The voting rights attached to the shares which are the subject of the special resolution cannot be exercised in respect of the resolution. (4) Within one week of the special resolution, the company must advertise the payment in the London Gazette and either in a national newspaper or by writing to each of the company's creditors.This is not required where the purchase is part of an employees share scheme under the 2013 Regulations. (6) The actual payment out of capital can be made only between five and seven weeks after the date of the special resolution. Within five weeks of the special resolution, any member of the company (other than one who consented to or voted in favour of the resolution) and any creditor may apply to the court for the cancellation of the resolution. On hearing an application the court has wide powers to confirm or cancel the resolution on such terms and conditions as it thinks fit. If the company is wound up within one year of a payment for shares out of capital and the assets are insufficient to meet the company's liabilities the vendor of the shares and the directors who made the statutory declaration of solvency will be liable to contribute up to the amount of the capital payment. A director can escape liability by showing reasonable grounds for the opinion expressed in the statutory declaration. To make it easier for companies adopting the employee-owner scheme to be able to buy back their shares when such an employee leaves the company, the government relaxed the statutory provisions for the buy back of shares. The Companies Act 2006 (Amendment of Part 18) Regulations 2013 SI 999 came into effect on 30th April 2013. CA 2006 sec691(2) provides that where a company purchases its own shares, the shares must be paid for on purchase, thus preventing payment by installments on a buy back. That provision has been amended so that it doesn't apply to a buy back for the purposes of an employees' share scheme. The long established rules for a company making an off-market purchase of its own shares is that the terms of the buy back must be approved by a (formerly special, now ordinary) resolution. Buy backs for the purposes of an employees' share scheme still require such authorisation, but the resolution need not authorise a particular transaction. It may be general, or limited to a particular class or description of shares, and may (but need not) impose conditions. The resolution must specify the maximum number of shares that may be purchased, and must specify the minimum and maximum prices that may be paid (though these may be determined by reference to a formula, rather than being fixed sums). The resolution must specify a time limit, that cannot exceed five years. The resolution may be varied, revoked or renewed by a similar resolution. The general rules are only slightly modified to finance an off market purchase out of capital for the purposes of an employees' share scheme. Any available distributable profits must be used first, the directors must make a solvency statement and the capital payment must be authorised by a special resolution. The rules are relaxed, however, in that no supporting statement by the company's auditors is required, and the proposed payment is not required to be advertised in the Gazette and either a national newspaper or by writing to all the creditors. Company Law Solutions provides expert advice and a full documentation service for a company buying its own shares and for a reduction of capital without a court order.